Tópico em 'Europa' iniciado por J.S. 18 Dez 2009 às 01:24. Well, we knew we woul dhave some snow. But how about a regular cover of 60 cm in places. I was very unfortunate I might add. The area of low prssure circuled above my head keeping all preciptation around. Tmeprature was better with me being below freezing all day, but apart from 3 cm snow cover this morning, we received nothing! Now, since 20 h it has started to snow continuously but mild, giving no more than a slight extra on the existing cover. In parts surrounding the low pressur ein the southwest, where I live just norh of me it was too mild and they had the same problem, so 1-6 cm at most. Northeast of that it reallyw as BINGO. 17-35 cm in generel, but in Ureterp they measured 60 cm snow. 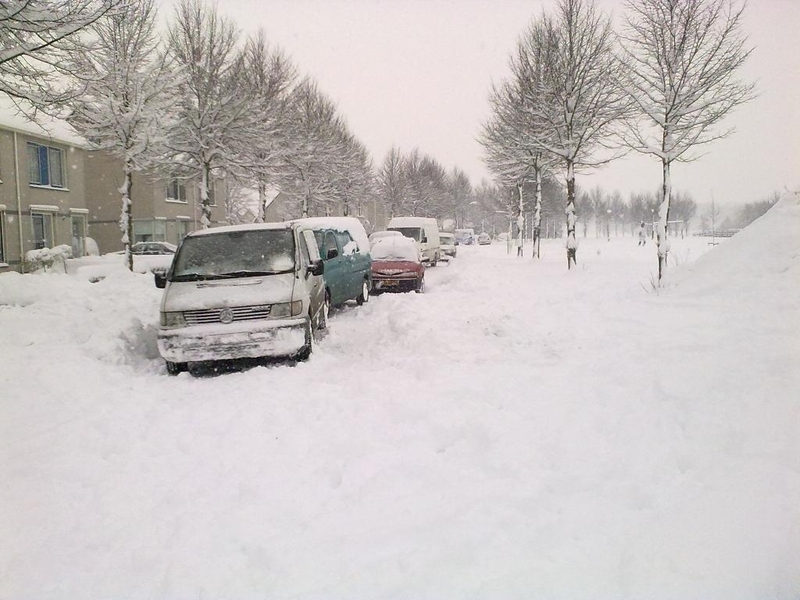 Even more than we had in March 2005 (53 cm).On the far north, wind came into action adding to the wintery feeling with a fullblown blizzard. But yet again, not where I live. This week we had some cold nighst with -5 and -6 and 0 C at day,which is nothing special. But the KNMI expects -10 to -15 at least from friday to saturday and -5 as a daytime max (record low daytome max for this time is -11, so not a record at all), but locally where fog lingers it will be much colder. On sunday, snow will come from the north but also milder weahter, so it could turn to rain (for a time). Daytime max near zero. After that, wind will turn to the south and it will become colder again. 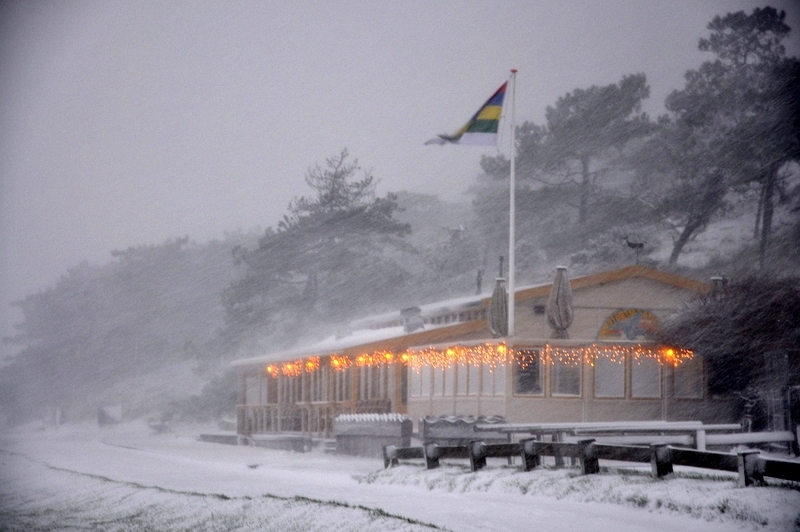 This is considered typical for Dutch severe winters (which is not the case as of yet): it remains bewlo freezing no matter what winddirection. What will happen next week: big chance of milder weather, but the southern jet will probably prevent really mild weather to venture in. Então: 60 cm de neve! 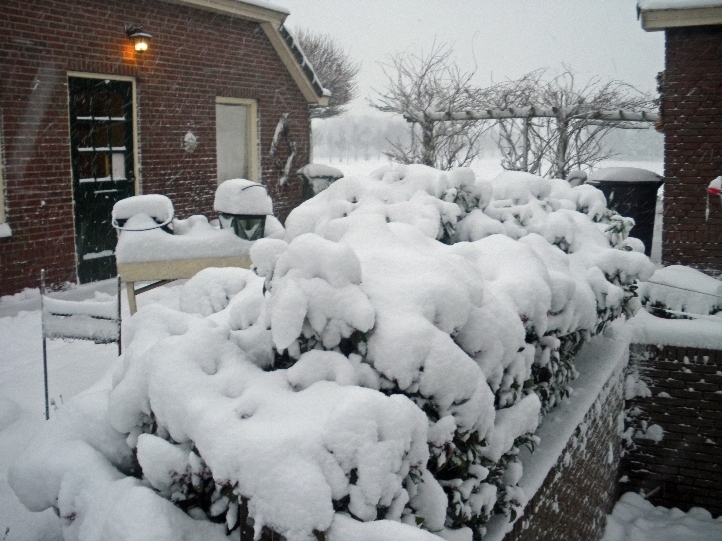 Neve no capital da neve na Holanda (agora): Drachten. 60 cm.